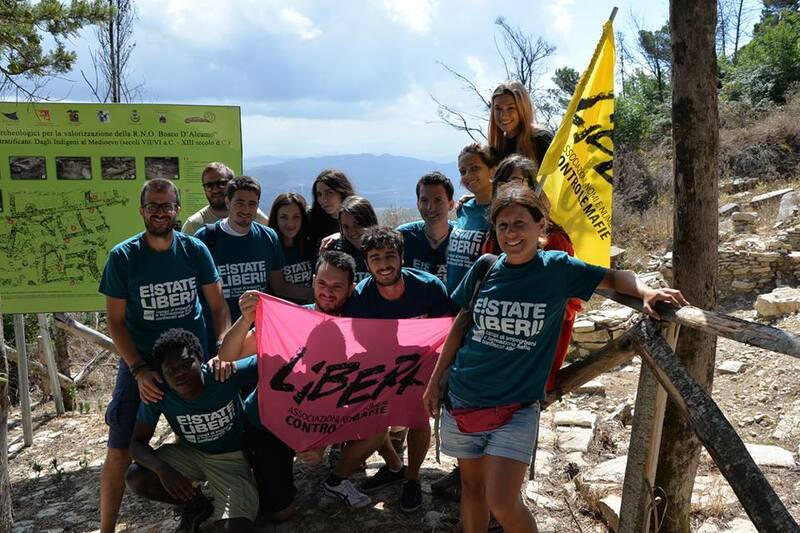 Every year, Libera organizes International Camps on confiscated mafia assets via the project E!state Liberi. This project was born to promote social re-use of confiscated assets: criminal buildings and lands have become common goods of social justice and democratic legality at disposal of every citizen of the world. Indeed in Italy, Law n. 109/96 provides for the granting to third parties—private organizations; cooperatives; municipal, provincial and regional administrations—of all property acquired through illegal activities. The third parties then return them to the community by converting the properties in socially beneficial uses. E!State Liberi! – the camps of commitment and education on confiscated assets – offers initiatives at the international level, tackling broader themes of transnational mafias and global anti­mafia. And there is more. The goal is to offer a wide range of opportunities for exchange and discussion between world citizens, both Italian and international, who are willing to take the challenge by providing a valuable contribution to the community through the work on the confiscated mafia assets as well as discovering new social realities and experiences either close by or distant from their context of belonging. Therefore, in addition to field activities, trainings will be also carried out on a daily basis in the form of meetings, film screenings and workshops about current mafia organizations which are increasingly structured in international networks, as well as about those other networks, also international, aimed at contrasting them. E!state Liberi! is a way to live a great experience on one of these confiscated assets which are important examples of hope and commitment. We want to highlight these social projects on confiscated assets for their importance in value, the novelty in the procedure and their impact on the society : E!state Liberi camps represent a huge opportunity to discover Italy through the best practices of civil society in the respect of the environment. The camp is an experience of 7-15 days in a confiscated asset, in which you are in contact with the local context and its activities of social re-use. During the camp you can learn more about the history of local mafias, the memory of innocent victims and the commitment of their families to transform this experience in a new opportunity to fight against the criminal culture. Would you like to participate with your group of friends / association / school? Since 2017, it is possible to participate with your group and organize a specific camp in accordance with your preferences of topics, options of date and place and needs. It will be a pleasure to help you to choose your favourite camp! To participate in E!State Liberi!, you have to apply as a GROUP – you don’t have to be an association or a school, you can also be a group of friends. This entry was posted in Confiscated assets, Italy and tagged antimafia, International Camps E!State Liberi, Libera International. Bookmark the permalink.